President Duterte’s peace process with the Communist Party of the Philippines seems to be on shaky grounds, even after his SONA speech on Sunday called for the country’s military to stop all pursuits of NPA rebels. On Wednesday, New People’s Army rebels ambushed government soldiers in Davao del Norte, Duterte said on Thursday that he is thinking of lifting the ceasefire order he declared against the Communist Group in his first state address to the country. President Duterte called for a negotiating panel of the government to demand an immediate explanation from the Communist Party of the Philippines on the incident. Duterte said that anyone responsible on the government side will also face disciplinary action for their part in the attack. 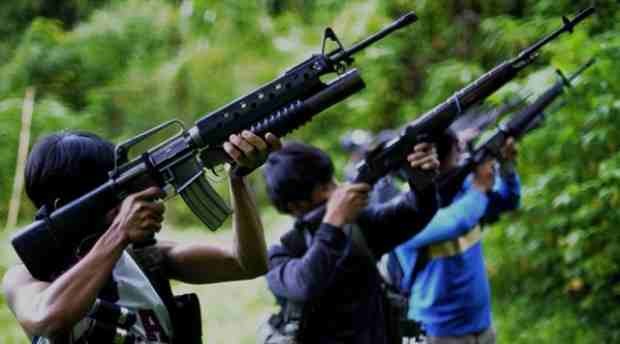 Under orders direct from Duterte, the AFP had suspended its military operations against the CPP-NPA effective Tuesday. But after Sunday’s attack in Surigao del Norte, and now the attack in Davao del Norte, it appears the peace process with the communist rebels is premature. The attack on Wednesday killed one soldier and injured four others. The kidnapping in Surigao del Norte involved three police officers and one police asset. The Communist Party welcomes the ceasefire, saying it was a positive boost in the peace talks that would happen in late August in Norway. Though Duterte has called on his own military to invoke a cease fire, the Communist Party has yet to declare its own ceasefire, creating yet another issue within the peace process which the new president thinks will happen.